The WordPress plugin has recently seen a new update which caters to both free and pro users. 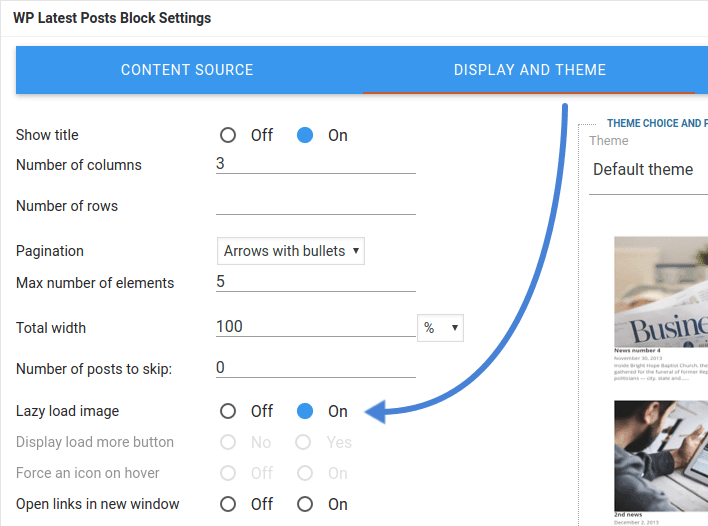 The new version of WP Latest Posts gives you more freedom over the way you present your latest WordPress content. At the same time, it gives you the necessary tools to ensure that the widget’s loading times are not a burden for your users. Cover images are increasingly popular. More than just boosting article aesthetics, cover images describe the content without a single utterance. On the downside, as we recently discussed, images are usually an encumbrance due to their size. Naturally, loading times increase proportionally with image sizes, and thus it is desirable to only deliver images when they are needed. Like our other plugins, WP Latest Posts adopts a similar principle to lazy loading. This time, cover pictures are downloaded while the WP Latest Posts plugin rotates through articles, for example. In WP Latest Posts, lazy loading is not enabled globally, but separately for each block. Like many of this update’s new features, the option can be enabled from the display and theme tab. Once the lazy load image option is enabled, images are only loaded if and when they are needed, thus loading pages faster. A closer look at this tab reveals a slew of new customization features, ranging from buttons, overlays and arrows. The availability of features depend on whether you are a free or a pro user. On the left-hand side, you can toy around with different settings to customize the buttons and put an overlay over images when users hover over them. There is also a new option of adding a read more button to provide a more intuitive, user-friendly way of accessing articles. Naturally, not all of these options are applicable for every theme. However, where applicable, WP Latest Post allows you to customize their appearance, allowing the plugin to blend in with the rest of your WordPress blog. 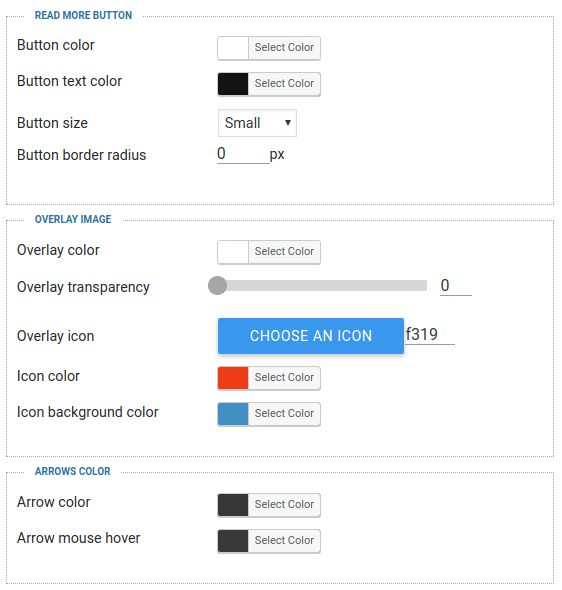 If you are using the default theme and you are a pro user, you can also choose what kind of items to include in the widget. 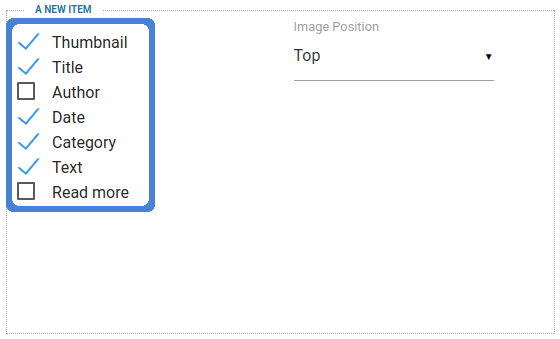 The options range from necessities, like the title and thumbnail, to the more frivolous, like the category or the whole text, which could be desirable if the posts themselves are brief. Users can also skirt the complexities of customizing the default theme to their taste. 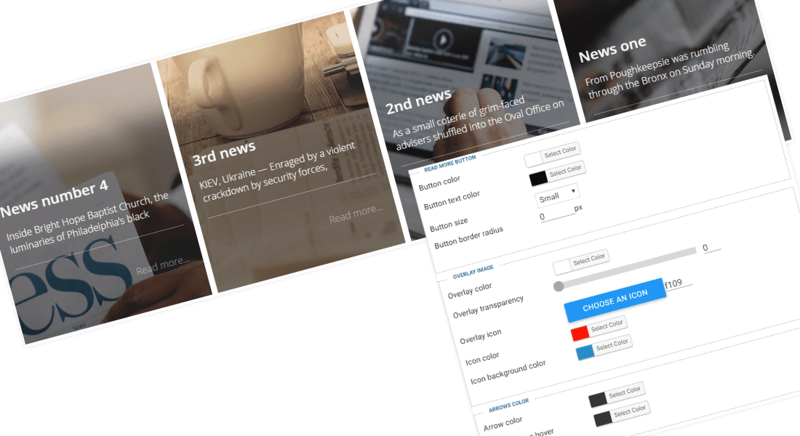 Instead, WP Latest Posts comes equipped with a set of ready-made themes and previews. These include popular layouts, like the grid, portfolio and masonry themes. Furthermore, a few themes allow fine-tuning with arrows and overlays, among other options. The latest posts widget is more than just a fixture, but a guide, showing users the various content that your brand offers. With WP Latest Posts 4.4, the widget can also be even more enticing without compromising on efficiency.